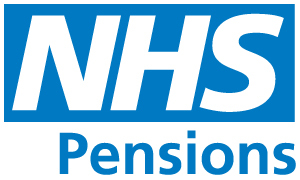 As a member of the NHS Pension Scheme you get an excellent package of pension benefits, which are guaranteed by the Government to be provided to you when you become entitled to them. Membership of the NHS Pension Scheme is voluntary, however when you start working for the NHS you will automatically become a member (excluding freelance locum medical practitioners). You can decide not to join and you are free to leave the Scheme at any time. If you choose to leave you may be automatically re-enrolled by your employer every three years under the auto enrolment process. You can usually rejoin at any time provided you are not absent from duty for any reason. What does the current scheme provide? * Your pension earned will be increased each year by a set rate, known as ‘revaluation’. The revaluation rate is determined by Treasury Orders plus 1.5%. For full details please refer to the 2015 NHS Pension Scheme guide for members, a copy of which can be found here: https://www.nhsbsa.nhs.uk/member-hub/. Treasury Orders are the method by which the Treasury notifies the value of change in prices or earnings to be applied as part of revaluation. Your pension earned in a Scheme year (April to March) is revalued on 1st April of the following and each subsequent scheme year until you retire or leave. E.g. if the Treasury Order in a year was 2% then your pension would be revalued by 3.5% at the beginning of the following year.